PI-SIA Process Servers are well equipped to handle all process serving instructions within Portsmouth and surrounding areas from solicitors, local authorities, insurance firms, private individuals and companies. We operate a fixed fee process within the limits of Portsea Island, which includes all mileage, out of hours attendances and administration. We provide full coverage of the UK and will serve your court papers and legal documents promptly and professionally for a fixed fee. Keeping you updated at all times we will provide proof of service that is both compliant with current legislation and meets your requirements. In the event of an unsuccessful service we will provide a full written report by way of witness statement. Translation Service To complement our Portsmouth and Southsea process serving facility, we can provide French and Polish translations. We can also undertake process serving & investigations in France and Africa through our associate companies Anglo French Research Ltd and Amethyst Global LLP. We believe that we are the first and only such fully functioning professional agency on the ground in Portsmouth. Our staff hold recognised European qualifications to degree level and also relevant SIA accreditations. They have a vast amount of international experience. 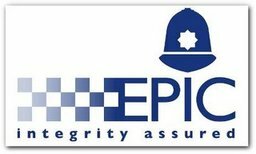 Unlike many UK investigators, they can operate legally in other European countries. Two of the directors are former British Police detectives. 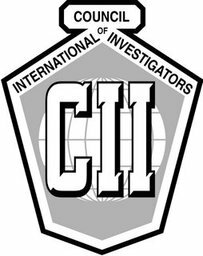 We stress that we are NOT a "virtual agency", rather we are experts in our field who offer personal service by known agents, combining the use of modern technology with traditional detective skills, which are still essential qualities in the modern investigator. To complement our Portsmouth and Southsea process serving facility, we can provide French and Polish translations. We can also undertake process serving & investigations in France and Africa through our associate companies Anglo French Research Ltd and Amethyst Global LLP. Please do not hesitate to contact us with any queries, or if we can be of assistance. We will be very happy to come and meet you to discuss how we can help you. Investigation & Tracing Service Worldwide Investigations, tracing and process serving.